Cynthia Mauer, 52, is accused of theft and embezzlement for taking the money from a parent committee she co-chaired at Saint Ignatius High School between September 2007 and February 2012, according to prosecutors. 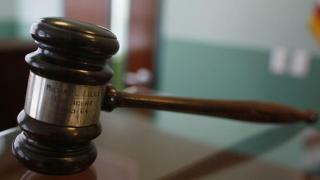 A Pacifica woman charged with stealing more than $180,000 from a volunteer committee at a private San Francisco high school was arraigned in a San Francisco courtroom, the district attorney's office announced Tuesday. Mauer, whose children attended the private Catholic school at one point, allegedly controlled the committee's bank account. The committee was responsible for organizing the school's Grad Night, an annual celebration for graduating students, prosecutors said. "It's alarming that someone would steal money that was raised to benefit high school students," District Attorney George Gascon said in a statement. "A lot of effort was poured into raising this money, she betrayed the students and a community that trusted her." Mauer was charged with six counts of grand theft and six counts of embezzlement. She is currently out on $200,000 bail, according to prosecutors. Mauer is set to appear in court next for a prehearing conference on June 8, prosecutors said. NBC Bay Area contributed to this report.